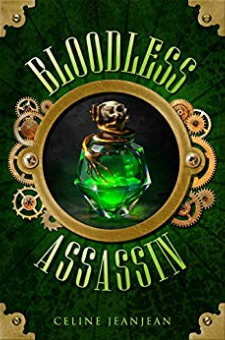 An assassin with a fear of blood.A mouthy street girl.Are they really the city’s only hope?When Rory discovers Longinus’s blood phobia, she makes him a deal. Train her, and she won’t ruin his reputation as a lethal assassin. What she doesn’t expect is that her new master has more eccentricities than a stray dog has fleas. And that in aligning herself with him, she now finds herself in the crosshairs of another, far more dangerous assassin. Now, not only does Rory have to keep herself and Longinus alive, she has to stop a conspiracy that threatens to bring the city to its knees.An impossible task? It's even harder with Longinus under the delusion that he’s the hero of the story. That would be funny, if it didn't make Rory want to throttle him.Warning: this book will make you have fun. Lots of fun. Scroll up and get it now.